April 5, 2019 – Since its passage in 1980, the Medicare Secondary Payer Act has been largely ignored by the personal injury litigation community. But like the person who continues to drive under the influence of alcohol rationalizing they’ve never been caught, it’s unwise to continue depending on luck to avoid adverse consequences of failure to comply with the law. A Maryland law firm recently learned a valuable (and expensive) lesson on the imprudence of failure to consider Medicare’s interests when settling personal injury lawsuits. This announcement serves as a reminder to ALL law firms, plaintiff and defense alike, of the importance of taking Medicare’s interests into account when resolving lawsuits. 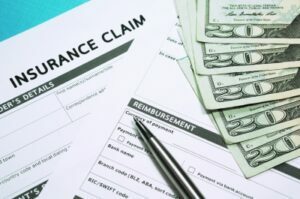 Workers’ compensation carriers and the attorneys representing injured workers began adapting to the reality of the MSP years ago with many embracing the use of Medicare Set-Aside Trusts, coupled with structured settlements, as a cost-effective method of managing settlement outcomes and compliance with the law. The liability litigation community has been slow to conform to the MSP reality. They would be wise to rethink their reluctance, however, lest they find themselves on the unhappy end of a dispute with the government. A summary of the law and its implications on injury settlements can be found in “A Good Fit,” an article I co-authored in 2017 for Workers’ Compensation magazine. While the article was written for a WC audience, liability attorneys will benefit from a comprehensive review of the Act and illustrations of how Medicare Set-Asides can be used to effectively resolve claims. Moral of this story: Consider Medicare’s interests when settling ALL claims. April 2, 2019 – To help spread the good word about structured settlements, several of our life company partners have recently unveiled some professional videos designed to help clients better understand this dynamic claims resolution tool. About Structured Settlements – From Prudential Structured Settlements, this is a general information video focusing on the financial security that comes with structuring one’s settlement and describes how they work. 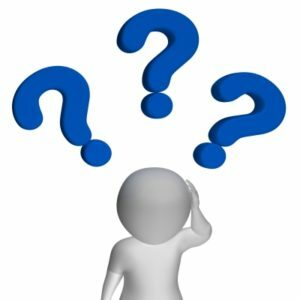 What Are the Rules & Requirements for a Non-Qualified Assignment? – From MetLife, this video features MetLife Structured Settlement Leadership describing the unique features of this product used for taxable settlements, and the requirements needed to implement them. Why Do I Need a Structured Settlement? – From Pacific Life, this one’s been out for a little longer but worth re-sharing since it emphasizes the importance of making the right decision when one’s personal injury claim concludes. And just for good measure, here’s a link you might have missed to a brochure from the National Structured Settlements Trade Association (NSSTA.com) entitled “Security and Stability to Last a Lifetime” which highlights the over-1,000-year combined experience of our life company members. Tens of thousands of people live better lives thanks to the structured settlements they chose when settling their claims. With unmatched safety and security, combined with the financial strength of the life insurance companies offering them, structured settlements represent the key to a brighter future. November 1, 2018 – The 2018 edition of “Understanding the Insurance Industry,” a supplement to the November issue of Best Review, identifies the Top 10 U.S. Life/Health Companies ranked by 2017 Capital and Surplus, along with other rankings. Capital and Surplus equals a company’s assets minus its liabilities. The life insurance industry is generally one of the most solvent of all industries due in large part to the actuarial predictability of outcomes of life insurance contracts. By insuring large numbers of people, incorrect mortality assumptions are more easily offset by those risks which exceed mortality expectations allowing the company to operate profitably while meeting its financial responsibilities to policyholders. Another key to insurer solvency is its asset composition. According to a graph contained in the article, bonds account for approximately 75 percent of the industry’s asset distribution. Further, strict Capital and Surplus Requirements imposed on them by regulators ensure life companies have sufficient assets to meet future obligations. All this is especially comforting to those whose lives have been turned upside down due to a catastrophic injury and who can ill afford to expose their settlement proceeds to risk. Congratulations to all our life company partners who have “over 1,000 years of combined experience” honoring promises and meeting financial commitments. September 24, 2018 – If you still believe that guy on the radio castigating you to hate annuities, it might be worth seeing what the top industry research association’s statistics reveal about 2018 YTD fixed indexed annuities (FIAs). Through the first half of 2018, $32.1 billion worth of fixed indexed annuity purchases were made according to LIMRA Secure Retirement Institute. That’s up 14 percent from 2017 and its $17.6 for the quarter is an all–time high. Compared to the $30 trillion market capitalization of the U.S. stock market, this is a drop in the bucket. But for an idea hatched just 23 years ago, fixed indexed annuities are making some important strides as people seek a reasonable blend of security and return for their money. Besides, unlike the stock market, FIAs never lose money. You will receive guaranteed future income FOR LIFE, the value of which will be determined by the investment experience of the selected index and the timing of your withdrawal. Admittedly, the nuances of the various life market offerings and index choices can be daunting. But millions of individuals have benefited from the peace of mind that comes with guaranteed lifetime income without fear of market downturns. For those eligible to structure their personal physical injury settlements, including attorneys who structure their fees, Pacific Life has an Indexed-Linked Annuity Payment Adjustment Rider which can provide enhanced payouts over time depending on the direction of the S&P 500 – a nice option for those concerned about keeping up with inflation. All in all, FIAs are worth considering for funds you simply cannot afford to lose. Because principal is protected, a down market doesn’t adversely affect your investment. When the market increases, so does your balance subject to any caps and limits imposed by the policy. 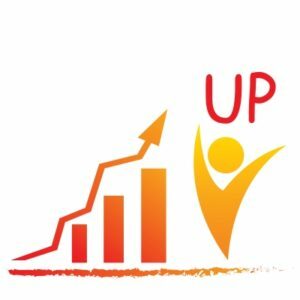 As more and more people take the time to educate themselves about the proven benefits of annuities, we expect to see this upward trend in annuity popularity increase. September 17, 2018 – The Los Angeles Angels have been officially eliminated from the 2018 postseason. The year started with such promise, too. 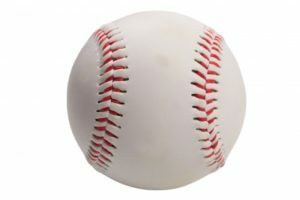 Not only do we have a perennial MVP candidate in Mike Trout, but this year brought some new excitement when the Angels signed Japanese phenom Shohei Ohtani, a young player who is making comparisons to Babe Ruth for his ability to hit AND pitch at the highest possible level in professional baseball – a feat nobody has been able to successfully accomplish in over 100 years. George Herman “Babe” Ruth – the Sultan of Swat – was a larger-than-life celebrity who, during his era, had no equal in terms of popularity. Idolized by kids, frustrated by opposing teams, he lived life to the fullest known almost as much for his excess on the party circuit as he was for his prowess on the baseball diamond. Despite this tendency toward extravagance, however, Babe was not a big risk taker when it came to money. Early in his career, he was introduced to the concept of annuities by a player on an opposing team and he was an immediate convert to the concept. 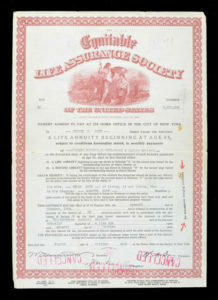 In 1923, he purchased, among other annuity and life insurance products, a life annuity from Equitable Life Assurance Society (now AXA Equitable Life) for $3,300 a year. The annuity, which also contained a death benefit, gave Babe the option of receiving $1,683.66 per month for life beginning at age 65 or a lesser amount if he wished to begin drawing on it earlier. While many of his peers went broke during the Great Depression, Babe’s faith in the insurance industry allowed him and his family to continue living comfortably after his playing days ended. The annuities continued making payments when many stock certificates became worthless. Whether you’re a prodigious baseball player or just someone who wants to secure your future free from worry about the direction of the stock market, you can’t go wrong if you do like the Babe when it comes to securing your future. Or, as we’ll advise the Angels new star if he ever calls us for advice (even if we must do so through his translator): Buy annuities! 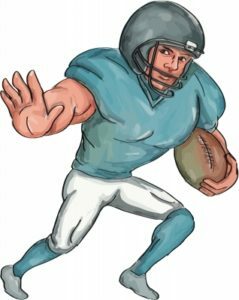 August 25, 2018 – With college football upon us and the NFL’s 2018 season right around the corner, this is the perfect time to discuss fixed indexed annuities. OK, so maybe I’m stretching a bit but as this year’s first kick-off approaches, it occurs to me there’s a perfect parallel between something that happens on the gridiron and the popular retirement income option that people spent $32.1 billion on so far in 2018 alone. Here’s hoping my analogy helps the unconvinced better appreciate the value of indexed annuities. First: What Is a Fixed Indexed Annuity? A fixed indexed annuity (FIA) is an insurance product whereby an individual trades a lump sum of money today (or periodic deposits over time) in exchange for the promise of tax-deferred, guaranteed lifetime income, certain income, or a lump sum at some point in the future. The money earns interest credits based on the direction of one or more indexes selected (S&P 500 is a common one) from a variety of strategies available depending on the risk tolerance of the individual. The design of the FIA is such that if the market index increases, so does your account balance up to the maximum permitted by the contract. The trade-off for having a cap on your upside potential is the floor which prevents your account from ever losing money. Recapping: Put money in, never lose it, get tax-deferred, market-based growth followed by guaranteed income for life. Got it. What’s This Got to Do with Football? When football teams are winning late in the game, many defensive coordinators will go into the dreaded “prevent defense” to keep the other team from scoring a touchdown. The idea is that it’s better to let the other team gain a few yards slowly while the clock runs down than to give up a big play resulting in a touchdown. And a loss. Theoretically, prevent defenses work great. But as any football fan can tell you, things don’t always work out the way it’s drawn up. Despite best defensive efforts, the losing team can mount a come-from-behind victory and the team that was supposed to win finds itself putting up an L in the record books. What if the defensive coordinator could, instead, implement a “fixed indexed annuity defense” GUARANTEEING the other team couldn’t score? A fixed indexed annuity is like a prevent defense with a 100-foot concrete wall across the end zone. FIAs make it impossible for the market to defeat you once you’ve scored your points. Since your balance never decreases, you can never lose money once you roll funds into a FIA assuring you a retirement victory. So just like a concrete wall can prevent a touchdown and a seal a victory for the wining team, a FIA can prevent you from losing the money you worked hard to accumulate and can make sure you end up on the winning side of your retirement dreams. Many of us not-so-fondly remember the last 40% drop in the stock market way back in 2009. Minerd wonders aloud if investors have become lulled into a false sense of complacency since then. Recession? 40% plunge? Who’s got the stomach for that again? Looking back over the decade since the beginning our our last financial Armageddon, one group of folks who don’t really have to worry about the direction of the market are those who bought annuities or entered into structured settlement arrangements as part of a personal injury settlement. The safety and security of guaranteed income annuities, whether fixed or indexed to track with a market, provide a peace of mind that (no surprise) doesn’t usually accompany 40% market downturns. 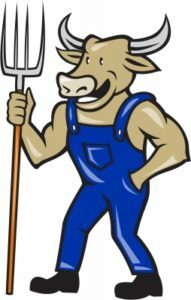 So, if we are at or near the top of a bull market, harvesting some of those gains now before the bears arrive, and allocating them toward something that will help meet fixed future expenses could end up being one very smart move. This is particularly true for those at or near retirement since annuities help reduce one’s sequence-of-return risk. By choosing annuities to meet anticipated future monthly obligations (rent, house payment, car payment, utilities, insurance, etc. ), the adverse impact of market losses is avoided. Take out the FANG stocks (Facebook, Amazon, Netflix and Google), and the S&P 500 is essentially flat since January of 2015. When the S&P 500 peaked at 1,561 on October 12, 2007, it never eclipsed that mark again until it hit 1,614 on May 3, 2013. The truth is that nobody can ever accurately predict the direction of the market. And timing certainly matters. If Mr. Minerd ends up being right on his predictions, those who harvest their gains now and reallocate some toward meeting their secure income needs, will never regret their decision. August 13, 2018 – The “Tax Cuts and Jobs Act” presumably did not factor into a San Francisco jury’s decision last week to award Dewayne Johnson $289.2 million in his lawsuit against Monsanto Company, et al. His case is potentially affected by it nonetheless. In addition to $39.2 million in compensatory damages awarded to the former Benicia Unified School District groundskeeper who claimed years of exposure to the herbicide Roundup caused him to develop non-Hodgkin lymphoma, the jury tagged on $250 million in punitive damages against defendant Monsanto for failing to warn users about the dangers of their popular product. With more than 4,000 people waiting in the wings to have their similarly-styled lawsuits heard, the implications of this verdict are far reaching. Even though an appeal is anticipated, the significance of this bellwether case cannot be understated. Let’s assume for an unlikely moment the verdict is not appealed and no post-verdict settlement discussions occur. Despite the best intentions of the jury to properly compensate Mr. Johnson for his suffering and punish Monsanto for its maliciousness, the ultimate beneficiary of this outcome is, strangely enough, the U.S. taxpayers thanks to Congress’ recently passed legislation. Let’s start with the easy part. Any of the $39.2 million compensatory damage income flowing to the plaintiff, whether in cash or as periodic payments, is tax-free in accordance with 26 U.S. Code § 104(a)(2). Attorney fees and costs will be deducted from this amount, but the remainder belongs to the Mr. Johnson. Assuming a 40% contingency fee (I have no idea what the retainer agreement calls for but 40% for cases which go to trial is not uncommon though it could reasonably be higher or lower), Mr. Johnson could still expect to see 60% of the gross figure, or $23.5 million, less costs and expenses which likely are significant on a case of this magnitude. The tax code views punitive damages differently. Very expensively differently. More so today than in 2017 and earlier thanks to the 115th Congress and its passage of PL 115-97 signed into law on December 22, 2017. That’s because, in its effort to streamline the tax code, our elected officials passed a logic-defying law which eliminates the ability to deduct attorney fees from many types of nonphysical injury lawsuits. 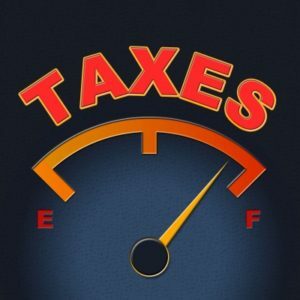 This Monsanto case, because it is not employment or whistleblower related (lawsuits which retain their above-the-line deductibility of attorney fees in most instances), is fully taxable to the plaintiff with no ability to offset taxes owed for legal fees paid to the attorneys representing them. That was not a typo: Plaintiffs owe taxes on the ENTIRE nonphysical injury portion of the verdict even though they never receive the portion they pay for legal representation. In this instance, Mr. Johnson could expect to pay roughly 50%, or $125 million, if not more, in taxes for the punitive damages component of this verdict. But the story gets more unbelievable. Not factoring costs and expenses incurred for developing and trying the case and applying the same 40% contingency fee listed above in the compensatory phase, means Mr. Johnson can also expect to see his $250 million punitive damage verdict reduced by another 40%, or $100 million, for attorney fees. Doing some quick math reveals $250 million less $225 million (50% for taxes PLUS 40% for attorney fees) nets him $25 million, or 10%, of the total punitive damage verdict. That was not a typo either: The plaintiff nets a scant $1,500,000 more of the $250 million punitive damage portion of the verdict than he does the $39.2 million compensatory piece. Does it make sense that a jury verdict of $50 million in compensatory damages and zero dollars in punitive damages would net Mr. Johnson more money than this $289.2 million combination verdict? True, such an outcome would not punish the defendant as intended but one would think a plaintiff deserves more than 10% of the verdict less expenses. Congress’ ultimate gift to the taxpayers? Lest you think the attorneys are exempt from paying taxes on their contingency fees earned (since, after all, the plaintiff already paid taxes on that sum once, right? 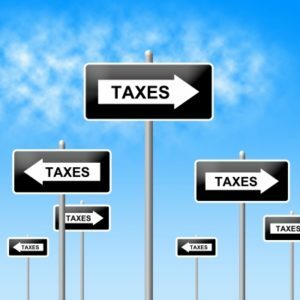 ), the attorney fee gets taxed a second time when the attorneys file their own taxes. The irony of a “tax cut” law resulting in double taxation on sums awarded should not be lost on anyone practicing in this arena. Until or unless stakeholders successfully lobby Congress to rectify this ill-advised tax law, many nonphysical injury claims will continue to disproportionately subsidize those of us who are not even involved in the case. Our federal, state and local tax authorities will appreciate the windfalls, but this flagrant absence of common sense has no place in a judicial system striving for fairness. Fortunately, some help exists in the form of nonphysical injury structured settlements for practitioners evaluating their post-verdict negotiation options. Nonphysical injury structured settlements don’t invalidate the nonsensical tax law but can help render some parity to an otherwise gloomy reality. By deferring taxable dollars into the future, plaintiffs can increase the total value of their settlement and lower the percentage of the verdict they ultimately pay in taxes. This increased recovery and steady, guaranteed cash flow also have the added benefit of being a better needs-based outcome for those seeking safety and security after a long-drawn-out legal process. Practice Pointer: While it may be tempting during post-verdict negotiations to drop the punitive damage component altogether in exchange for the more tax-friendly all-compensatory outcome, caution is urged here since this would likely be viewed as a deliberate attempt to evade taxes. Reasonable, defensible allocation of damages, along with the need for qualified, independent tax advice, is recommended. Poor Mr. Johnson didn’t ask to get cancer and didn’t set out to be a poster child for the folly of our new tax laws. But his case offers valuable insights into the realities that await those who “win” a lawsuit only to end up on the losing end of the ultimate tax outcome. Dear Congress: This is Wrong! August 6, 2018 – When the Tax Cuts and Jobs Act, as it’s known, went into effect earlier this year, many hailed the legislation for simplifying things and saving the average taxpayer money. Others protested the legislation disproportionately benefits the ultra-wealthy who didn’t need and weren’t asking to have their taxes reduced. 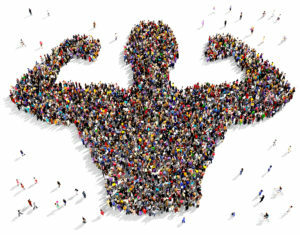 People who hire legal counsel for nonphysical injury claims. 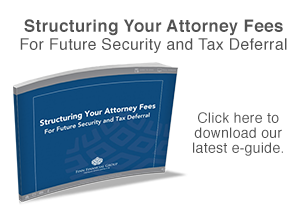 Going forward, taxpayers can no longer deduct attorney fees they incur for many types of nonphysical injury disputes they bring against their alleged tortfeasors. In an ironic twist worthy of a Shakespearean drama, plaintiffs who “win” their personal, nonphysical injury lawsuits ultimately find themselves on the losing end of their own litigation come tax time. This careless, shortsighted, unwise and downright mean oversight must be corrected. To illustrate how unfair this law, if left unamended, can be, assume Plaintiff A successfully resolves a libel (nonphysical injury) case against Defendant B, pre-trial, for $10,000,000.00. Because the plaintiff is taxed on the ENTIRE award (including attorney fees), the full ten million dollars is considered taxable income. In California, the tax on this settlement is approximately 49% (married filing jointly) to 50% (single taxpayer), or, roughly $5,000,000.00. Further assume, since the case was heading to trial, a 40% contingency fee agreement was in place for legal representation – a standard arrangement given the skill required and the financial risk of trial absorbed by the law firm. Not counting additional costs associated with developing and trying the case which need to be reimbursed and could erode the total recovery further, the plaintiff stands to net a mere 10% OR LESS of this otherwise substantial settlement. Is it fair that a plaintiff ends up with less than $1,000,000 of a $10,000,000 settlement? In some cases where costs are exceptionally high, it’s not inconceivable a plaintiff might end up OWING money on a case they supposedly won! If the whole point of the litigation process is to right a perceived wrong, to attempt to make someone whole again and to achieve justice, what reasonable person can find anything just about this outcome? Remember that $4,000,000 attorney fee? Even though that sum was already considered taxable income to the plaintiff, the attorney who earns and actually receives that money will owe taxes on it as well resulting in the same money being taxed twice! What about the legal fees incurred by the defense? Most likely the defense can deduct their defense costs depending on the type of lawsuit and the status of the defendant. Add it all up and there is nothing equitable about any of this. Taxing an individual on money that isn’t theirs and which gets taxed a second time is, at best, a gross failure of the framers of the tax laws to recognize this parity gaffe. At worst, it’s their calculated effort to discourage litigation and allow egregious, harmful behavior to continue unencumbered. There are some exceptions to this inability to deduct of attorney fees from the outcome of a nonphysical injury lawsuits. Most employment and whistleblower cases still permit an above the line deduction for attorney fees as do sexual harassment cases not covered under a nondisclosure agreement. Certain damages, if attributable to one’s business, may also be deductible. Clients are always urged to seek qualified, independent tax advice to analyze their own situation. NOTE: Income received on account of personal, physical injuries or illness remains tax-free to the plaintiff. Since these damages are not considered income, the attorney fees associated with them are also not subject to taxation to the plaintiff. Fortunately, much of the headache that accompanies the grievous tax pain can be mitigated by choosing a Nonphysical Injury Structured Settlement during the litigation resolution process. By arranging to have portions of the taxable settlement or verdict paid out over time, a more tax efficient outcome can usually be achieved saving the plaintiff significant sums of money along the way. While nonphysical injury structured settlements can help ease the tax-induced misery caused by this harmful change in the law, the root of the problem remains. Clients and fair-minded advocates everywhere should voice their concerns to their elected officials lest they someday find themselves on the losing end of a winning proposition. Posted: August 6, 2018 | Category: Blog, Retirement, Structured Settlements | Comments Off on Dear Congress: This is Wrong!